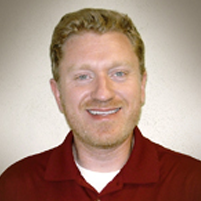 Matt has been the Administrator of Glen Haven Home and Linnwood Estates in Glenwood, IA, since October of 2008. Matt grew up in Cambridge, Nebraska and graduated from Doane College in 2001 with a degree in Business Finance/Management. Matt’s first job out of college was working for the Nebraska State Treasurer’s Office to implement the State’s centralized child support collection program. This led to a Program Specialist position with the Department of Health and Human Services, where he continued to work with Nebraska’s child support program. Matt was soon hired for a Business Analyst position with HHS, and worked there until he made the move toward obtaining his Nursing Home Administrator’s license. Matt has been working as the Administrator at Glen Haven since receiving his license. Matt has enjoyed working with the elderly over the last few years, and is thankful for the great opportunity he has been given to make a difference in their lives. Glen Haven has made considerable progress in the last few years, and Matt appreciates the outstanding efforts his staff and Department Heads have made, as well as the support the facility has received from RHD. Matt enjoys golfing, playing cards, going to music concerts, and hanging out with his dog, Ace.